In a recent IDC survey, time-consuming app deployment, silos of disparate infrastructure, a pronounced under-utilization of resources, and a lack of ROI were all cited as impediments to accomplishing digital transformation initiatives. However, one means of establishing infrastructure efficiency, agility, and cost-effectiveness to see these projects through is with hyper-converged systems like Lenovo ThinkAgile HX. 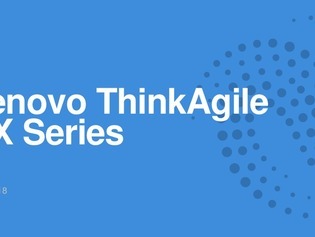 This resource provides an in-depth look at ThinkAgile HX, including strengths, features, what’s new, and the different models so you can select the HCI that best fits your organization’s needs. View it here.